We know Independent Living is about us having equal choices and living a normal life like everybody else. It is not about leaving us without support. So we intervened in the Davey case to ensure the Care Act delivers our right to Independent living. We also came to show solidarity with Luke and highlight the enormous struggle we have to go through to get even very basic things in our lives. How do you want to get in touch with the Met? Mayor Sadiq Khan asks for your views on accessing Met Police services in the light of huge cuts to the funding for the Met police made by the government. 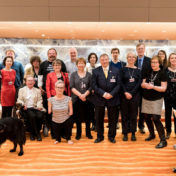 The UK government will be up in front of the UN Disability Committee on the 23 and 24 August answering questions on how far the UK Government is protecting and upholding the rights of Disabled people. 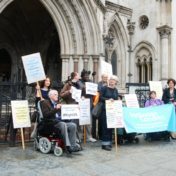 Calling all Disabled people and DDPOs – join us for an “Independent Living Care Act” vigil outside the Royal Courts of Justice, Strand, London WC2A 2LL on Thursday the 17th of August at 9.15 am. 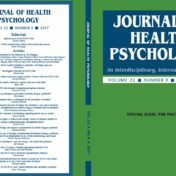 Special, freely available issue of the JHP on the PACE trial. PACE was a controversial trial of therapies for patients with myalgic encephalomyelitis (ME)/chronic fatigue syndrome (CFS). The current review by NICE of these treatments presents an opportunity to bring clinical practice properly in line with scientific evidence. Activists from Disabled People Against Cuts (DPAC) protested cuts to social care in Parliament on Wednesday July 19th. 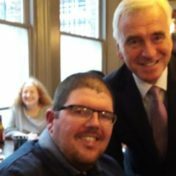 Labour leader Jeremy Corbyn and Shadow Chancellor John McDonnell voiced support for the protest, with McDonnell calling for a better funded social care system designed by disabled people themselves. The ME Association has initiated this petition because they believe, ‘that the current NICE guideline on diagnosis and management of chronic fatigue syndrome and myalgic encephalomyelitis (or encephalopathy) is not fit for purpose and that we are not being afforded a fair opportunity to help produce a better version’. Prime Minister Theresa May has promised a consultation on funding for social care later this year. Take action to call on government to ensure that the consultation will address the need to uphold the right to independent living and the needs of Disabled adults as well as the elderly. Lobby parliament and write to your MP!